First, make sure that your pet's identification and other documentation is prepared so that you can have a smooth flight experience. We also encourage you to take your pet’s ID tags with you, just to be safe. Of course, research beforehand to see whether the airline allows dogs and cats, and what their protocol is. Keep in mind that if your pet is very young or has health issues, it might be best to find your pet a place to stay while you’re away. 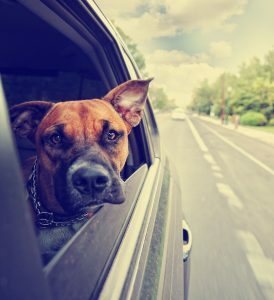 To make sure your pet is healthy and prepared to travel, be sure to schedule an appointment with us today by calling (409) 886-7050. We here at Cypress Animal Clinic are happy to help you and your pet have a great time. Safe travels!